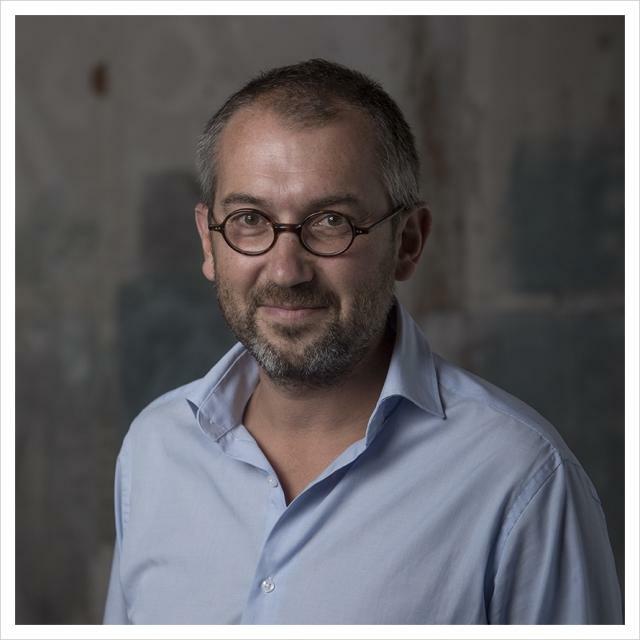 Thomas Duroux, winemaker at Château Palmer, likes to add some young Syrah wine from the Rhone to that made at his Margaux estate wine to construct a special cuvée. So does Caroline Frey down the road at Château La Lagune. Consultants/winemakers Michel and Dany Rolland have experimented with the combination on the Right Bank at Château Le Bon Pasteur in Pomerol. Bordeaux, it seems, is becoming fascinated by the question, “What would our red wines taste like if we could use Syrah in Bordeaux blends – this time legally?” After all, in both the New World and even in Italy and Spain, Syrah is included in the vineyard and the winery as a bonafide member of the Bordeaux family of varietals to be blended alongside Cabernet Sauvignon, Cabernet Franc, Merlot, Malbec, Petit Verdot and, rarely, Carménère. Are we about to see a blossoming of Super-Bordeaux wines? Bordeaux in centuries past legally imported unfinished Syrah-based wines from Hermitage and other northern Rhône areas to add spice and structure to at-times anemic and under-ripe Cabernets and Merlots. That practice became illegal with the enacting of the Appellation d’Origine Contrôlée (AOC) system in 1935 which dictated that a winery using an appellation could not bring in grapes or raw wines from elsewhere and restricted in some regions which varieties could officially be used in blends. The question is coming up now for two reasons. Increasingly, winemakers around the world, spurred on in the 1970s by the inventive Australians, began growing and blending Syrah with Cabernet and other Bordeaux varieties. The results have sometimes been stunning and well-received by critics and consumers alike. Second, global warming has made Merlot less desirable in some soils of the Right Bank and caused concern throughout the region. That experience led Duroux to press Château Palmer to make small amounts of an occasional wine at the Palmer estate adding Syrah-based wine from the northern Rhone. 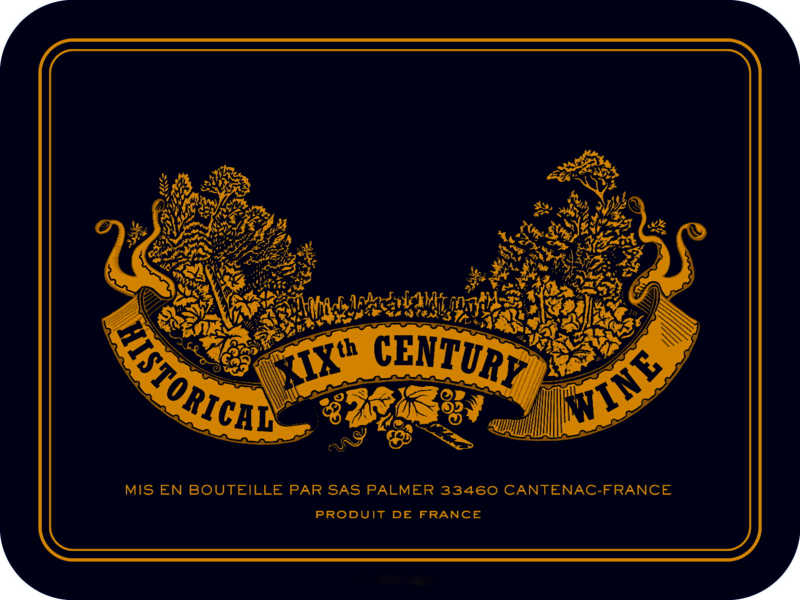 It was unromantically labeled “Historical XIXth Century Wine 20.04.” Neither “Bordeaux” nor “Chateau Palmer” are on the label – just the name of parent SAS Palmer. The “20.04” is a tech-style reference to the 2004 vintage when it was made. I tasted the 20.04, the first vintage, when I had lunch at Palmer during the 2009 en primeur barrel tastings, and, more recently, the 20.06. When the addition of Syrah was permitted in times past, Duroux says that 5 to 10 percent of Hermitage or similar Rhône red wine was added to the finished Bordeaux, generally in the cellars of Bordeaux négociants. Duroux uses the same process in Palmer’s cellars in Cantenac. “I get the Syrah as a finished wine in January or February after the harvest,” Duroux says. “I have several sources in the Rhône – 50 liters here, 100 liters there – and make a few hundred cases.” He prefers Rhônes from the North – Cornas, Saint-Joseph, Hermitage, Côte-Rôtie – and finds Châteauneuf-du-Pape blends to be “too massive and not refined enough.” Whatever the source, the Rhône and Palmer wines are married in barrels for seven months. The 20.06 version smells and tastes a good bit like a Right Bank wine (Palmer does have a lot of Merlot). The earthier, dusty elements appear first, but then come the fruit flavors of dark cherries and cassis with a finish of cocoa-like tannins. It is incredibly smooth, but still has the balance to age well. Caroline Frey, who owns both Château La Lagune and Domaine Paul Jaboulet Âiné, first made an experimental called “Duo” then with the 2010 vintage went large with 10,000 bottles of the just-released “Evidence.” It is composed of 50 percent Bordeaux wine, which would have been used for La Lagune’s second label, “Moulin,” and 50 percent Syrah from Jaboulet’s Crozes-Hermitage vineyards. It was blended in Jaboulet’s Rhône cellars and barrel aged 18 months together after first being aged 12 months individually. The Rollands made a one-off 50-50 blend in Pomerol for a charity event at Bon Pasteur, which they have since sold. No one I talked with envisions trying to change AOC regulations, at least not yet, to permit the use of estate-grown Syrah in Bordeaux for official Bordeaux blends. But there exists a real curiosity factor, which often has its own dynamic. In the meantime, will we soon see an emerging crop of Super-Bordeaux? Peut-être.